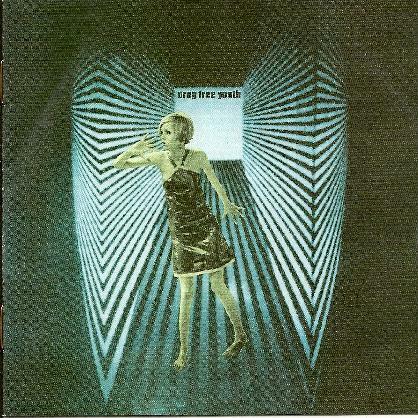 Drug Free Youth - "A Message From Now"
Drug Free Youth are a Greek band who play totally 60s retro garage-psych songs, with fuzzed guitars and classic cheesy high pitched keyboards. Yeah, we're talking Electric Prunes, 13th Floor Elevators, The Seeds… you get the idea. Songs like "Nubich" feature excellent fuzzed guitar solos. "Time Will Tell" is a bouncy energetic psych rocker with novelty song qualities. I love the liquid wah guitar on "Queen Of My Town". "The Zap Gun" and "Time Is Iced In An Instant" really rock out. And freakiness abounds on several songs. "(There Are Faces) Under My Pillow" is a melodic instrumental that later brings in excellent trip guitar. "Musta" is another outstanding lysergic psychedelic instrumental with an Eastern flavor and awesome 60s guitar effects. The band go into deep space on "It Took Me So Long". And "New State of Mind" has a "Pushin' Too Hard" sound and killer guitar work too. Most of the songs range from less than 2 minutes and sometimes exceed 3 minutes. But the closing track, "Visions Of A Gypsy Queen", is nearly 8 minutes. The keyboards lay down a melody line while the guitar trips around behind it. Lots of great sounds and efx'd soloing. This is a 3 minute instrumental bit that leads into the main song. The song portion is actually one of the weaker ones of the set, but it's not long before Drug Free Youth dispense with all that and launch themselves back into another spaced out psychedelic instrumental exploration. These guys have got the 60s sound down pat, have a real knack for songwriting, and back the songs with lots of wild and fun psychedelia. Good stuff.